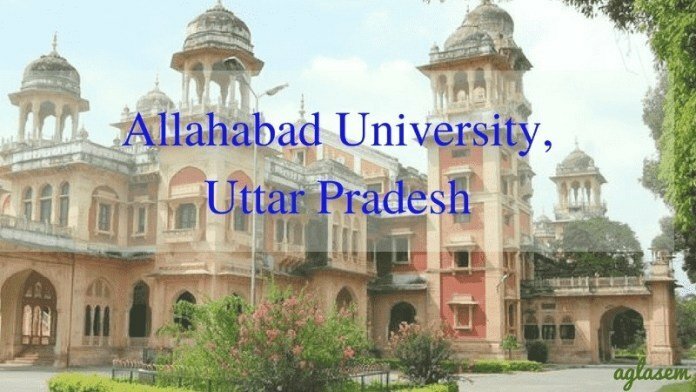 Allahabad University Admit Card 2019 is released on the official website i.e, allduniv.ac.in. To download the Allahabad University Admit Card for the Annual / Semester Exam students have to provide their enrollment no or Roll no and have to select the class. The Admit Card is released by the university for the students to appear in the exam. Students without the Admit Card will not be entertained in the exam hall. Students should read the printed details on the Admit Card after downloading it. If the student does not receive the Admit Card then he/she should visit the controller of the exam. Read the article for more information on Allahabad University Admit Card 2019 and how to download it. Admit Card: Click Here to download Allahabad University Admit Card 2019. How to Download Allahabad University Admit Card 2019? Click the link provided to download the Admit Card. Students can even follow the steps mentioned to download the Admit Card from the official website of Allahabad University. This is a sample of Allahabad University Admit Card. Check the printed details on the Allahabad University Admit Card 2018-2019. 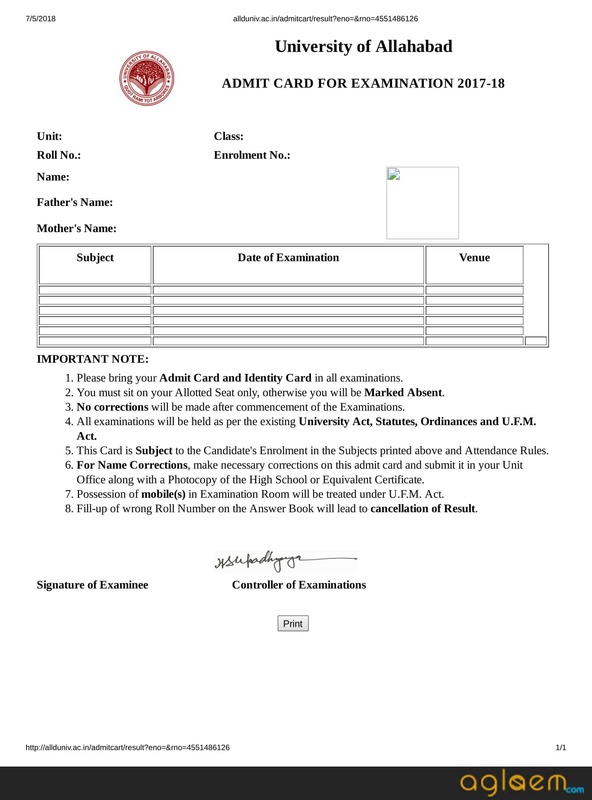 To attend the annual / semester examination student have to carry the Allahabad University Admit Card issued by the controller of the examination. No students will be allowed in the exam hall with the admit card. Allahabad University Admit Card is the pass to the exam hall. The Admit Card hold the necessary information of the student appearing the exam. Students can check their Admit Card for the instruction. Felis are few points for the same. Carry your Admit Card and Identity card on the day of examination. Students should seat on the seat allotted to them in the exam otherwise they will be marked as “Absent”. The exam controller will not make any kind of correction after the commencement of the exam. Correct Roll number should be filled on the Answer Book otherwise the result will get canceled. The Result will release on the official website of Allahabad University. Students can even check their result from their Study centre / institute. In Allahabad University Result student can check their marks and status of the result. After the declaration of result students can even apply for revaluation of the answer book/marks online. Students can even apply for a second/improvement exam. More details about the Allahabad University Result is available on our Allahabad University Result Page.